With today’s cultural and technological appetites, especially for social media, we have laid ourselves bare to the constant bombardment of staged and altered images of perceived beauty. For many, the relentless nature of it has become an assault on our rational minds. Selling the idea of physical perfection is now a multi billion-pound, 24/7 business. And we no longer serve as mere observers, we are now also participants, creating our own content or seeing ourselves recorded in the videos and photographs of others – it has become increasingly difficult to remain visually anonymous. It can feel as if the scrutiny and pressure is all-pervading; instead of relaxing and being present in the moment, we are worrying instead about how we look, how we will be recorded, and how many social media hits we’ll receive. These worries may be justified: many people now rely financially and professionally on their ability to promote an inspirational lifestyle (even traditional occupations command a headshot or visual representation) and the added pressure of a thousand anonymous eyes can sometimes feel overwhelming. Away from our digital footprint, we are also open to the scrutiny of others ‘in the flesh’ so to speak – people we meet during our day, each of whom presents an opportunity for our natural curiosity of comparison to rear itself. “Does so-and-so look slimmer than me? Younger? How about their hair – is it better than mine? Oh, I wish I had their shoes…”. Much of this internal dialogue is so automatic that we are often barely conscious we are even doing it. And yet we may have been thinking that way for so many years that it has now become a deeply inherent daily habit. Turning our attention inwards, the mirror is yet another cue for our automatic chatter to rev up uncontrollably. But, notably, have you ever taken a moment to pay attention to what it is you are actually saying to yourself? One day, write down these internal thoughts and statements, as once seen objectively in black and white, many people are taken aback by how unkind and derogatory they can be to themselves. Would you talk to friends like that? No! Furthermore, let me pose one further question: does it work? Do the constant negative comparisons, unpleasant comments to your reflection and the feelings of self-doubt empower you to lead a healthier, happier life? Again, no. I thought not! So let’s explore the idea of body image a little deeper. With better, more insightful understanding, can we afford ourselves a more positive, contented, kinder view of our incredible selves (for we are all incredible in different ways!)? Body image is a subjective picture of one’s own physical appearance established both by self-observation (how we inherently feel about ourselves) and by noting the reactions of others (be that personal and/or cultural). It is a self imposed verdict of our own aesthetic born from past and present experiences, perceptions and beliefs – but, thankfully for those with a negative body image, it carries huge and positive scope for change. What does a positive body image look and feel like? I can hazard a guess that many of you understand what a poor body image feels like. But what about the flip-side? Well, firstly, it is an honest, clear and true perception of your shape, without skewed perception or lens of negativity. Contrary to often popular belief, having a positive body image is neither a sign of arrogance, nor ignorance (of the things that we can do to keep ourselves healthy and optimally nourished – I say this as the media is too often scathing of women that defy the need to conform to what many regard as ideal body shape). Next is a true appreciation of your natural body shape and a deeply held understanding that physical appearance is in no way a reflection of character, personality or value as a person. Sadly, this belief can be a hard one to shake. We are repeatedly conditioned by marketing and advertising to believe that skinnier, younger, wealthier, blonder etc. means better in some way. This message feels particularly strongly pushed toward women. But of course it is not true. When we actually stop to think about it, we all know this logically – there will be hundreds of people you look up to and feel inspired by, whose bodies do not conform to the marketer’s vision of what is ‘right’. Outward appearance is only one minute part of what makes up a person’s contribution to this world, yet we often seem to be giving it the biggest chunk of our mental energy. Perhaps a little more balance, a little more focus on the other attributes we aspire to, may be a useful starting point. What would your chosen attributes be? How could you give them more of your conscious space? Asking yourself these questions can be a truly beneficial exercise, which may then lead to healthy lifestyle changes started with all of the right motivations. All too often it is about shape or weight and not, as it should be, focused on the celebration of having a happy, healthy, well cared for body and soul. We are better placed to seek out healthy changes started with all of the right motivations. After all, it is far easier and more pleasurable to maintain new habits if started with a true desire to nurture optimal health than it is to maintain habits that are for the sole purpose of running away from self loathing. Losing weight is never the key to happiness or fulfilment. But promoting your thoughts into a more positive place, daring to show yourself some support and affection, and making changes because you genuinely feel that your mind and body deserve to be nourished wonderfully well – now, that may well be the magic bullet that you’ve been searching for. The foundation for all lasting physical change starts with psychological change. Finally, a positive body image is one in which you feel comfortable, confident and grateful for your body. Out-loud gratitude can be a brilliant way to instantly disarm the perpetual cycle of negative, internal dialogue. Why not try, quite literally, to thank your body for legs that can walk, kidneys that don’t need dialysis, and eyes that can see vivid sunsets? It is, obviously, a slightly trite exercise and you may well be suffering from a body that doesn’t work as well as you’d like, but by focussing on the good things and remembering that not everyone is lucky enough to share them, you’ll seek out a new perspective that you may have struggled to find beforehand. How do you move towards a more positive body image? If you feel your negative body image is significantly and detrimentally impacting your life, it may be sensible to seek out help. There is nothing at all to be ashamed of in recognising that your negative internal dialogue may be affecting your happiness, relationships and daily activities. An element of support to break the cycle of negative thought would be a good thing, not only for you but also for those around you. 1. Reduce the opportunity for comparison. Do you really need to check social media multiple times a day? Or continually compare yourself to contemporaries? It may help to temporarily suspend social media accounts to afford yourself space to invest in your body confidence. 2. Be kinder to yourself! If that sounds an impossible task, make it more achievable by being kinder at specific points in the day. For example, when getting dressed each morning, be more conscious of your internal dialogue and the moment you hear a negative thought, consciously say (in your head or out loud) “Be kinder!”. Practice this increasingly throughout your day and, soon enough, new connections will be made in your brain that break old, negative habits in place of new, positive ones. 3. Consider meditation. There is now a plethora of apps and programmes that offer beginner guides to meditation, some needing just a few moments a day to follow. Many focus on acceptance, compassion and gratitude, and these can be incredibly beneficial in allowing yourself the time and space to develop a more positive body image. 4. Explore mindful self-compassion. Unlike many self-esteem based exercises, mindful self-compassion avoids any external comparisons. It aims to teach you how to better manage feelings of inadequacy by learning how to respond with heightened kindness and understanding. It’s the practice of repeatedly evoking good-will toward ourselves especially when we’re suffering. There are books, online articles and courses around the UK which offer assistance with developing this powerful skill. 5. Write to yourself from the perspective of a wonderful, wise sage. Seek out a quiet, private moment and write a letter to yourself with the sentiments of someone who knows your innermost thoughts and anxieties and is present purely to be kind, reassuring and supportive. Imagine it was sent from a best friend or cherished relative. Use your imagination and don’t hold back because no one else need ever read it. 6. Make a list of all the wonderful things you feel nourished by – be that physical, emotional or spiritual. Grab some blank paper and your favourite pen and jot down the times when you feel especially nourished, loved and cared for. Be as specific as you can. Whenever you feel negative thoughts creeping back, refer back to this list to reinforce the feelings of love and completeness. • Physical nourishment, for example: Walking on the beach with the wind in your hair; picking berries on a sunny afternoon; drinking iced mineral water to quench a real thirst. • Emotional nourishment, for example: Watching a comedy that makes you laugh out loud; listening to much loved music; sharing old and happy memories. • Spiritual nourishment, for example: 10 minutes of guided meditation; a peaceful walk alone in the woods with no distractions; taking a moment to just be still and listen to the birds. • Social nourishment, for example: Cooking and sharing Sunday lunch with best friends; spending an evening with cherished friends; weekends away with family. • Intellectual nourishment, for example: reading an interesting new book; taking a one-off evening class in something creative like pottery or floristry; attending a thought-provoking lecture. 7. Rewrite your story. We tell ourselves multiple stories about who we are and what we are capable of achieving. All too often these stories only serve to limit us: ‘I am too unfit to exercise. I will make a fool of myself’; or, ‘I will never lose weight. I am too busy and it’s never worked before. I don’t want to feel a failure again’. The good news is that once you have identified the counter-intuitive sentiments of your own dialogue, you can consciously start to re-write it: ‘My body is adaptable. If I take things slowly I will be able to work towards that 5K run’; or, ‘Everybody has the potential to lose weight. 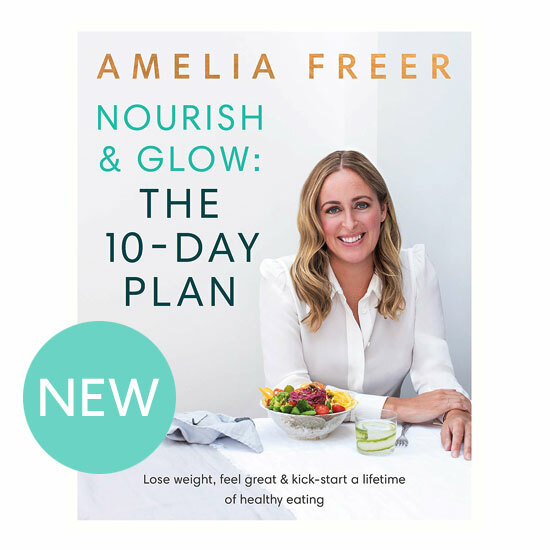 I will make gradual lifestyle tweaks, maybe just one a week, so that positive change is more achievable’. • What are the limiting stories or beliefs you tell yourself? • With no restrictions, how would you re-write those stories? • What one small thing could you do today, if you were that person you want to become? Body image is an intensely personal, intimate topic. If you are someone who experiences negative body image, I do hope this article resonates with you – in whole or in parts. The good news is that there are simple and achievable things you can do to help lift yourself out of the vicious cycle of negativity. Finding what works for you can not only lead to a happier, healthier perception of our uniquely wonderful bodies, but also potentially a happier, health life all around.